MDC national chairperson Tendai Bit has hit out at finance minister Mthuli Ncube for travelling aboard at a time the country's economic problems have taken a turn for the worst. 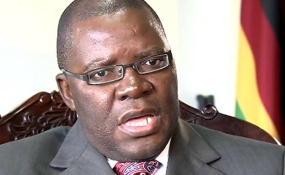 Biti, a former finance minister, was not impressed Thursday as it was revealed that Prof Ncube was not available for debate on his 2019 budget. According to Acting Speaker William Mutomba, Ncube is in the United States and sent his apologies to Parliament from New York. "I am concerned the minister of Finance and Economic Development has taken leave of the country during the week that Parliament is debating the country's most important fiscal instrument (the budget)," he said. "They are not even bothered to respect us by ensuring that officials from the Finance Ministry are actually in the House to listen to what we Honourable Members are saying. "Speaker; that a minister of Finance and Economic Development takes leave of absence when the budget is being debated is not acceptable. It is not good enough and we as Parliament must reject that." Mutomba tried to explain that there were officials from the treasury, but Biti interjected telling the acting speaker that "there are no officials from the ministry". On Wednesday, MDC Zengeza West MP Job Sikhala also fumed over the absence of cabinet ministers from the House. "We are expecting our ministers to be present," he said. "Today, we only have the Leader of the House and a Minister of State who in terms of the Constitution cannot answer questions from members of parliament. "Why are ministers not taking parliamentary business seriously? The leader of the House cannot answer all the concerns of MPs. "Several MPs have raised this concern and it seems ministers are not taking parliamentary business seriously. "Who are we going to ask questions today because the front bench is empty?"